Hey there guys! 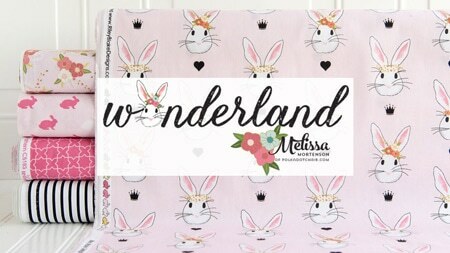 Today I’m very excited to share with you a little bit more about my upcoming fabric line with Riley Blake Designs, Wonderland. 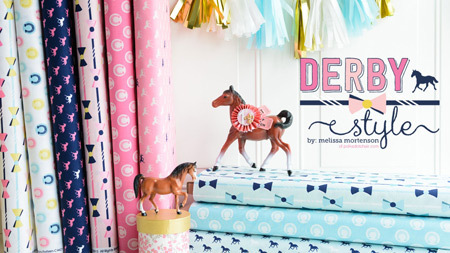 Some of you may know that my first ever fabric line was released in January of this year. It’s called Derby Style, inspired by my love for my “Old Kentucky Home”. I dreamt up the idea for my Derby Style line a few years before I ever pitched it to a fabric company. I had a LONG time to think about what I wanted it to be, what colors I wanted to use and how I imagined sewing with the fabric. It was a HUGE goal of mine to have a fabric line produced, and do you know what comes AFTER you accomplish a goal you set for yourself???? A great big “what do I do now?” feeling. I could add a “crap” to that last sentence but I don’t want you to think that I might actually speak like that in real life (even though I totally do *wink*). After Derby Style was released I decided that I want to at least “try” to design another line. Since the question I get most when I chat about fabric design is “where did you get your idea”? I thought it might be fun to tell you the story of how this line came about…. Last spring, I designed what I thought would be my 2nd line, but it wasn’t 100% yet. It needed a little somethin’ somethin’. I spent a few months trying to figure out what it was missing. I was pretty much stumped. That little “somethin” I was looking for? Turns out a 5 year old red head knew what it was all along (she just waited til July to tell me). Last summer while I was in Utah I went to dinner with my extended family. 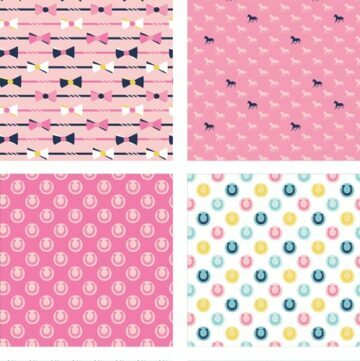 We were sitting around “chatting” and I mentioned that I was trying to design another line of fabric. I had the sketches on my phone and passed them around to see what everyone thought, mentioning “it’s missing something”. All of the adults told me “oh it’s pretty” or “I really like it”… which although I was grateful for, kinda left me thinking “well you’re no help at all”. Next thing I know my 19 year old daughter grabs a sharpie out of my purse and starts to draw on all the placemats. By the time the appetizers arrived we had a bunny sketched out and got it “approved” by my 5 year old niece. About the same time I came to the sudden realization that it absolutely matched all the other prints in the line that I had already designed. I didn’t end up using the “placemat” bunny from the restaurant, I went though dozens of sketches after I came home, and finally settled on one to send off to Riley Blake. They liked the bunny and the line, and after some tweaks gave it a release date of February 2016! So let me introduce the line to you! The line is “inspired by” Alice in Wonderland, I’ve always been a HUGE fan of Lewis Carroll and pretty much every Alice movie ever made. I even tried to get my whole family to dress up as Alice characters for Halloween one year but no one would cooperate with me (silly kids, think they have minds of their own or something). 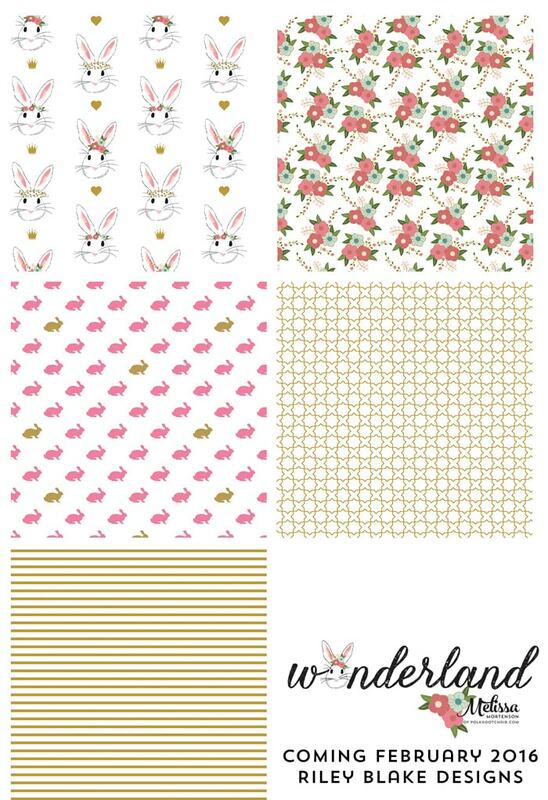 Like the story, there is a white rabbit, flowers, a labyrinth, a few Hares and a set of striped stockings. The Main colorway of the fabric has GOLD INK. I can not tell you how excited I am for that!!! There is also a pink colorway because, well hello PINK!!! Since the line won’t be released until February 2016 I don’t have any actual fabric yet. But I did sketch out some upcoming patterns with the line to give you a feel for how it can look when stitched up! 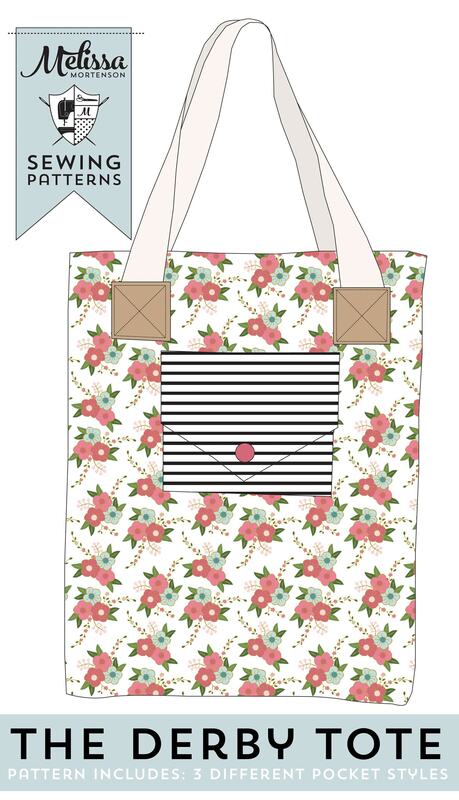 This is my June Bag Pattern, it’s in the process of coming to paper but you can pick it up now in PDF form over in my Pattern Shop…. The Ruby Lou Bag- the perfect little “purse” for a little girl…. it even has a pocket to store her latest treasures in. and the Derby Tote, which was designed to go with my Derby Style Line, I just didn’t get it in print yet. I picture it as a great tote bag to haul around with you to church or school. The pattern will have 3 different pocket styles and also shows up as PDF in November (just in time for Holiday sewing, it will also show up in print towards the end of the year). 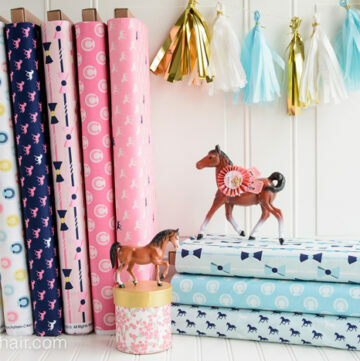 If you have a shop you can pre-order the fabric from Riley Blake! If you do let me know and I’ll add you to my “fabric source” page so readers can find your store! gah! it is so cute! i was wondering if there was a second line coming. we really need to catch up! let’s make it a priority, ok? xo. Adorable! Well done you! It is a lovely line, I love the patterns and the colors! Congratulations, think you have another winner here! Oh, you are so sweet Phyllis! I’ll throw some in my suitcase when I visit the Netherlands in August!! You and me both !LOL!!!! So glad that you like it!! I love the idea of incorporating some gray with it! Super cute!! I LOVE the combination of the flowers with the stripes & geometric print. 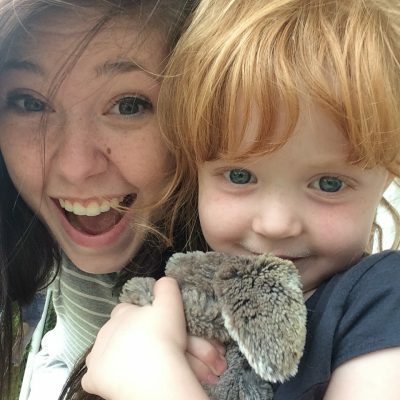 So flippin’ cute! 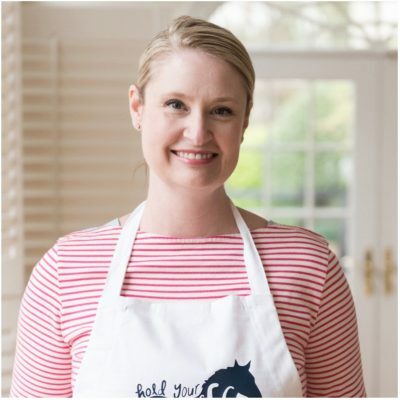 Congrats on another beautiful fabric line! 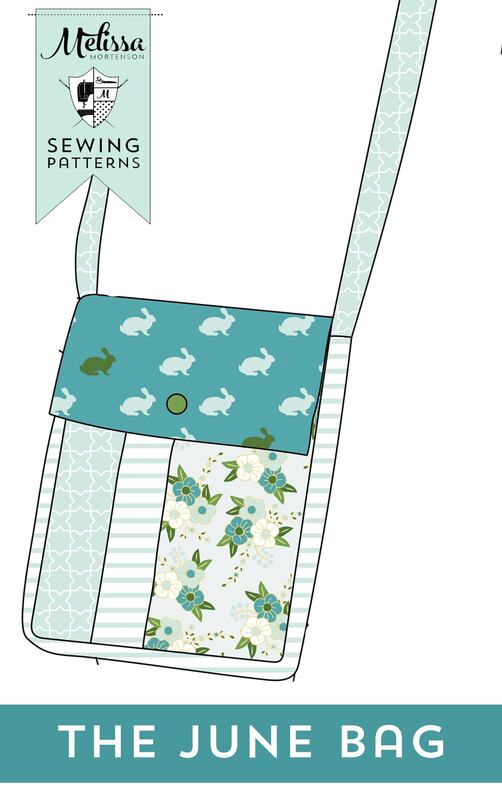 A customer asked me just yesterday if I had any bunny fabric to make her a bag…although I think it would be worth the wait for yours! Love it and can’t wait to see it in the UK, will tell my stockists to preorder!!! The Ruby Lou is exactly what I’ve been looking for for a “me” bag! Would you consider drafting it in a larger size? Not super large, though, that would look too slouchy! Love it! will have to get some for my oaks dress this year! 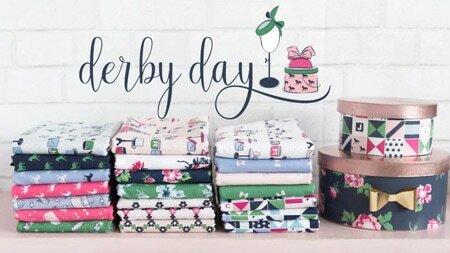 My dress from your derby line was a huge hit last year! Love the pink flowers with the black and white stripes together! 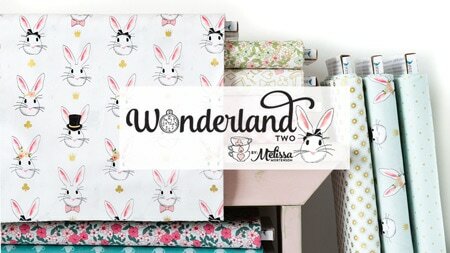 Hey Melissa, I think you have a “total home run” with this new line of fabric! 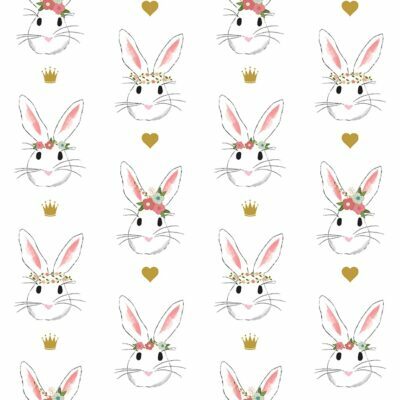 Nothing cuter than bunnies and bunches of flowers! Beautiful! I saw a preview of this about a month ago and fell in love with it then. You’ve done two of my favorite animals–first horses (I have 8!) and now bunnies. 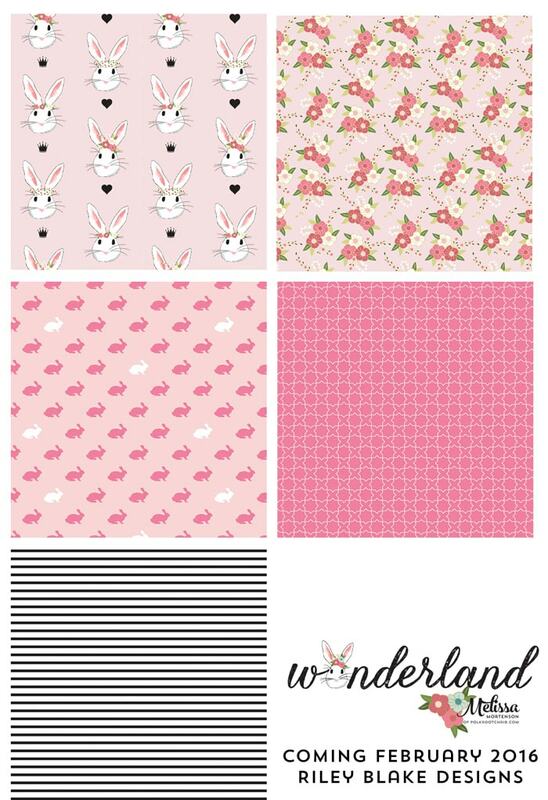 I cannot wait to get my hands on this fabric line! 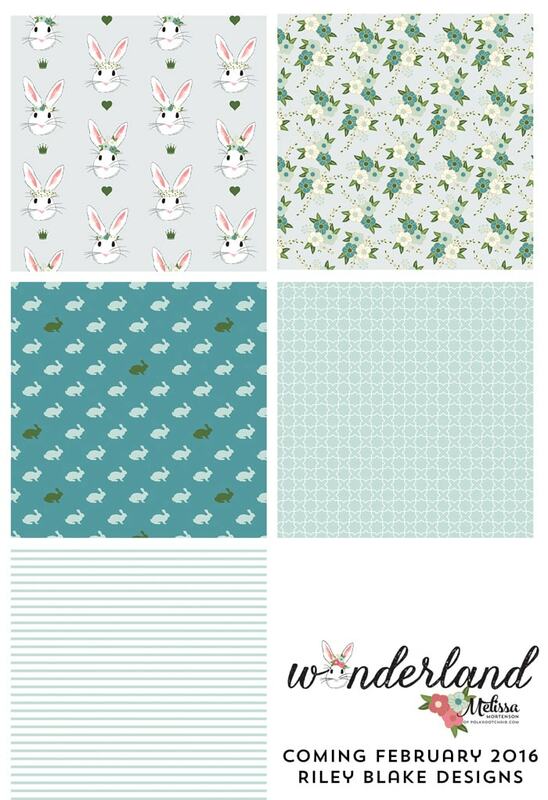 How and where will I be able to purchase the sweetest bunny fabric after it’s released in February? Absolutely sweet! 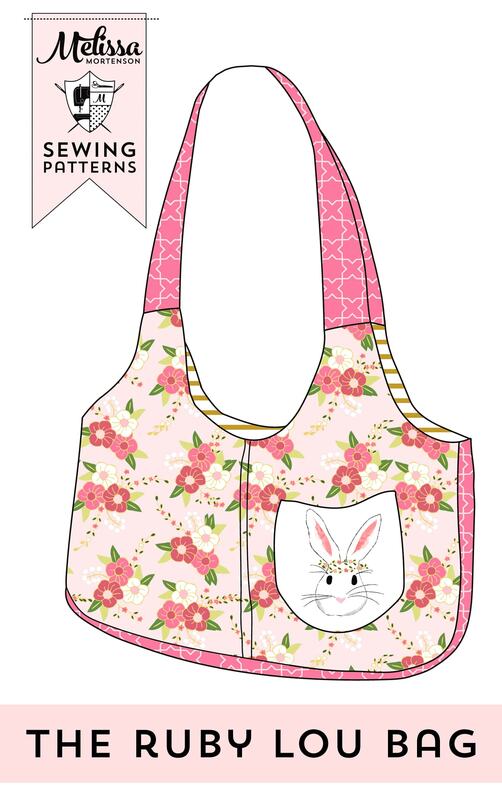 I am thinking my great-granddaughter will be the beneficiary of the “Ruby Lou” bag about Easter. She was four on the 24th and will love the material patterns. Great job! 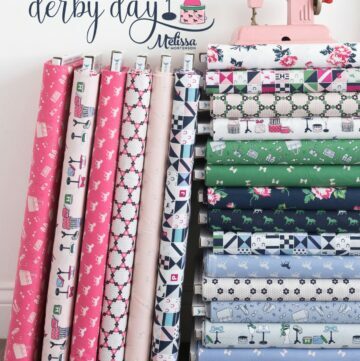 I also have your “Derby” line in mind for a quilt for her and one for her new sister born the 3rd of Oct. It has been a busy month for our granddaughter! Love your new line, I’m sure there is a great deal of excitement when your fabric becomes real. Would love to know more on how you get started with designing fabric. I took three years of commercial art and design many wedding cakes. Ahhhhh! This is amazing, Melissa! I know a certain 6YO that is going to LOVE this! Congrats!